What exactly is involved in using particular case histories to think systematically about social, psychological and historical processes? Can one move from a textured particularity, like that in Freud's famous cases, to a level of reliable generality? In this book, Forrester teases out the meanings of the psychoanalytic case, how to characterize it and account for it as a particular kind of writing. In so doing, he moves from psychoanalysis to the law and medicine, to philosophy and the constituents of science. Freud and Foucault jostle here with Thomas Kuhn, Ian Hacking and Robert Stoller, and Einstein and Freud's connection emerges as a case study of two icons in the general category of the Jewish Intellectual. 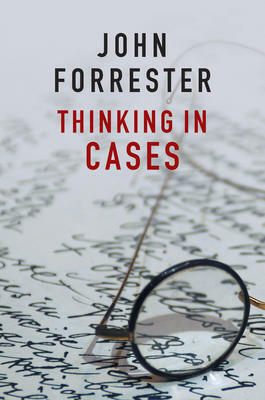 While Forrester was particularly concerned with analysing the style of reasoning that was dominant in psychoanalysis and related disciplines, his path-breaking account of thinking in cases will be of great interest to scholars, students and professionals across a wide range of disciplines, from history, law and the social sciences to medicine, clinical practice and the therapies of the world. John Forrester (1949–2015) was Professor of History and Philosophy of Science at the University of Cambridge and Head of the HPS department for seven years. He was Editor of the journal Psychoanalysis and History from 2005 to 2014, and authored Freud's Women (with Lisa Appignanesi, 1992), Dispatches from the Freud Wars (1997) and Truth Games (1997), amongst other titles. He published over fifty papers in scholarly journals, principally concerned with the history and philosophy of psychoanalysis. His work on cases as a genre and as a style of reasoning was posthumously published as Thinking in Cases (2016).